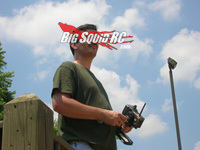 THE Cub Report, 06.18.2012, Version: Brian’s Affinity for “Call Me Maybe” « Big Squid RC – RC Car and Truck News, Reviews, Videos, and More! Why does Brian constantly crank his Seinheisers up so loud that I am forced to hear what he is listening to? I have no idea, but I’m think’n I need to hack his Pandora account and seriously dial him in with some better channels. Did I mention… I do a column each week with your guys letters, but probably what you don’t know is the vast amount of emails we get that say “When are you reviewing the new Happy Flower truck? I’m not buying one till I see your review!”. We’ve always tried to keep our reviews simple and easy to read for noobs, just boiling it down to whether the item is a buy or a skip, and it seems we’ve developed quite a following by doing so. It seems there are a lot of people sitting on their wallets until given the green light by BigSquid, which is super cool that you show us such trust. Now it’s up to us to keep on the straight and narrow and keep earning that trust of yours. Also of note… for those of you still waiting on our HPI Bullet Flux review, you might wanna quit holding your breathe now, it’s may be a while. You see we broke our Bullet early on during the review and still have not been able to secure replacement parts. No parts means we can’t finish the review, although at this point I’d think the major talking point of the write up will be about the lack of parts. We initially had high hopes of the Bullet, some of us were actually thinking it was a front runner for “Bash Vehicle of the Year”, but I can assure you none of us are thinking that now. This is one of those situations we HATE to see. The RC world is far from perfect, but it seems like this is something that’s fixable with a little planning. Word is… that we’ve got a revised version of the MaxAmps 12VDC power supply headed our way for review. We have previously tested one of their super high output 24VDC models, we can’t wait to test one of the updated units. Rumor of the week is… that a certain media source’s last issue is going to be this December. While this is total rumor, and you know I love to rag on the mags, but wow, I’d hate to see yet another one go under. The last time we heard a rumor like this was about Xtreme, and unfortunately some of their people learned of the mag going under on BigSquid, I hope that is not the case on this one. Arguably…. the most prestigious race in America this year is going off in Oakland Mills PA this week, it’s the ROAR 8th scale nitro off road nats. So look for your Facebook and G+ feeds to get blown up with info/pics/vids from that particular race this week. I know you are used to being bombarded with “Team-X Driver wins BIG!” press releases every single week, but if you are going to actually pay attention to race results, this is the week to do so. This is the race that all the big boys will make, and it’s the one that matters most to pretty much everyone involved in rc racing. I predict there will a few new, young faces in the A this year, those young kids just keep getting faster. Whoa, wait a minute… Craig “The Crazy Ramp Builder Guy” spent Saturday at the Large Scale RC Power Jam in Monon Indiana. From talking to Craig it sounds like 5th scale is alive and well in the Midwest. Heck, 5th scale seems to be doing really well just about everywhere. They handle well, you can drive’em about anywhere, they are loud, burly and fast, so no doubt they are popular with the bashing crowd. 5th scalers aren’t cheap, but they are gnarly, and sounds like the Large Scale guys had a good turnout last week. Hopefully Craig dials us in with pics of some of the uber 5th scale scoots from the Power Jam so we can share’em with you this week. Well that’s it for this week, support your hobby, LHS’s, bash spots and local tracks!